My father asked me to do him a favor. A time consuming favor that required my absolute attention. But it was a simple thing to accomplish… Make him tape copies of some gospel CD’s. Three tapes of 3 different songs. Easily done in less than 15 minutes. The other wasn’t so easy and would take an hour of my time to do. Still… It was no problem. My father has done many solids for me, so I didn’t really mind. It’s no big deal putting off episode one of season two’s Six Feet Under. When it comes to transferring some music from one medium to another… Everyone always comes to me. It was time for a small little payback. It seems that Baptists have finally taken cassette tapes off the “Devil’s Work” list while the CD still has the “device of evil” moniker attached to it. I’m betting that they’re still rallying with hard prayer for their children’s souls as MP3’s and those demonic iPods try to swallow them into the abyss. I think I once saw a bumper sticker on the Reverend’s car that said “Jesus Chose Vinyl For Your Redemption”. Anyway… As I listened to this gospel music… I couldn’t help but think why more and more kids aren’t traumatized by the Christian faith. Seriously… Some of those songs sounded cheerful, but once I visualized some of the lyrics in my head… I could easily see where a young kid would act out like Damien Thorn from The Omen when they roll up on the church grounds. That is… If only they listened to the lyrics. The songs are upbeat for the most part, but when you listen to the lyrics… There’s a lot of blood and violence. There’s eternal damnation. There’s dead rising from the ground to meet Him in the air. There’s no mention of the dead being fully restored. For all a kid knows… The dead will all look like the family pet they decided to dig up after a few months. It all sounds like a happy version of George Romero’s Night Of The Living Dead on ice! And when is Jesus going to get a makeover? Why don’t they bring Jesus into the modern age? After all… They put out an updated Bible back in the 1970’s called ‘The Living Bible’. 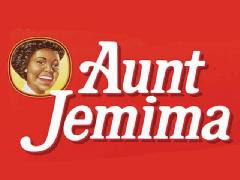 Oh sure… I remember my folks calling it “sacrilege” and forbade me to ever crack one open. The language just needed an update, that’s all. ‘The Living Bible’ made for better reading in my opinion. If they’re still caught up Jesus wearing sandals… Give that joker some Birkenstocks. They might even go for some of the Crocks! He can keep the long hair… Give him some shades… A pro-choice t-shirt (I’m kidding folks)… I guess that I have him I pictured him like a slightly happier Eddie Vedder. 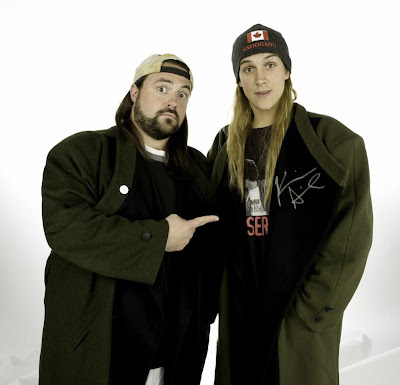 Or how about Kevin Smith’s Silent Bob? He looks peaceful and forgiving, doesn’t he? Wouldn’t you wanna hang with that Jesus? I guess I have a different experience. I grew up Episcopal and was put in charge of the wine at youth retreats. When's the next AA meeting? Because of the growing popularity in all types of society I was thinking that Jesus could use a tattoo as well.... maybe something like "I SAVE" with a Peace Frog maybe? Oh, and don't forget those oh so popular rubber saying braclets (WWJD), he could sport one that says WWID. The Living Bible was burned in Gastonia, NC sometime in the 70s as a protest by Christian groups. 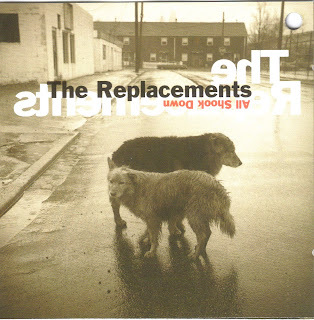 And gotta love those Replacements. "Jesus rides beside me / but he never buys any smokes." I know that I am a bit late reading this blog, however... How you could be sooo "left wing" after the way we were raised is beyond me. I could explain to you why there is so much "blood" in christian songs, but that would take some time, and honestly after reading this blog I don't know that you would really care to hear it. Kevin and I are raising our girls to be strong christian women who love the Lord, and I pray they don't end up with some of the ideas you seem to have adpoted or it might break my heart, as I believe our Mother's is broken. Eugene you better duck! Someone is casting stones your way. Pam, you're not raising your girls to be anything. They spend more time in their grandparents' care than in yours. Your parents are the ones doing the actual raising here, God Bless them.